Egg Basket For Miniature Fairy Gardens. 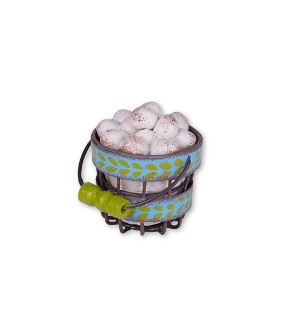 This mini egg basket designed by Genevieve Gail features all-weather paint and a unique distressed finish. But you know what they say, don't put all your eggs in one basket. Dimensions: 1.75 x 1.5"h.